Milk is, simply put, a liquid that mammals produce to feed their young until they become more mature. Milk consumption is especially important in maintaining a healthy body. While many animals — such as buffaloes, horses, goats, sheep, camel, and even reindeer — may supply milk for human consumption, OrganicFacts.net noted that cow’s milk is deemed the most wholesome source for both children and adults. 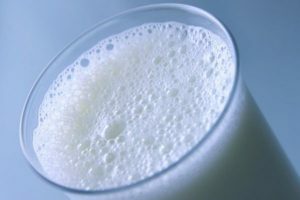 The U.S. Department of Agriculture (USDA)’s Dietary Guidelines recommend drinking milk daily or consuming dairy products in order to maintain a healthy, balanced diet. Milk is best known for its importance in maintaining strong and sturdy bones. Milk is an excellent source of vitamin D and calcium that fortify the bones and teeth. This means that milk is essential in keeping bone diseases such as osteoporosis at bay. Milk is also known to stave off the progression of osteoarthritis. Milk is rich in potassium, which promotes vasodilation in nerves and reduces blood pressure levels. The high potassium and magnesium content in milk is found to reduce cardiac stress. On the other hand, peptides found in milk are known to mitigate the growth of angiotensin-converting enzymes, which increase blood pressure levels. Milk’s high protein content is essential in muscle build-up too. Milk contains high-quality proteins that have all the essential amino acids needed in promoting muscle growth. Likewise, the saturated fat content in milk prevents muscle mass from being used as energy source. Milk’s rich calcium content plays a vital role in blood clotting and wound healing, while its high choline content is essential in learning and memory. In addition, observational studies have shown that milk has the potential in addressing certain types of cancer. The high vitamin D levels in milk are found to regulate cell growth and prevent the onset of colorectal cancer. The National Cancer Institute noted that milk consumption may lower the risk of developing ovarian cancer. Likewise, the high vitamin D levels in milk are known to promote serotonin production. Serotonin is a hormone that is closely associated with appetite, mood, and sleep. This means that consuming milk may be beneficial in preventing depression and chronic fatigue. However, experts cautioned that some people may not tolerate milk quite well. The condition, called lactose intolerance, may lead to bloating, flatulence, or diarrhea. Milk benefits the heart, bones and teeth, and the muscular system. Likewise, milk supports brain health and the circulatory system. Milk has been widely used in the manufacturing of dairy products such as cheese and butter, and fermented milk products such as kefir and yogurt. Milk is also a commonly used ingredient in ice cream, smoothies, and baked goods. Milk may even be used in alcoholic beverages such as liqueurs and punches. TheKitchn.com has compiled several interesting recipes that you can try. Milk prevents bone and joint diseases such as orthoarthritis and osteoporosis, heart disease, and certain types of cancer. Milk also inhibits muscle loss, depression, and chronic fatigue. Milk is beneficial to the heart, bones and teeth, and the muscular system. Milk supports brain health and the circulatory system.